LONDON, UK: As midnight struck in London on 30 December 2017, the latest names to be recognized in the traditional Queen’s New Year Honours List were revealed: a mix of politicians, stars of music, culture and sport, and community champions. Among the list was the citation: Joyce Evelyn, Mrs. COOK, O.B.E. 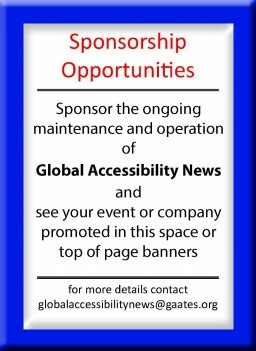 For services to Sport and Accessibility. Cook took up the role of FIFA Chief Member Associations Officer on 1 November 2016, overseeing the delivery of FIFA’s investment in football development through FIFA’s 211 member associations, under the FIFA Forward Programme. Before joining FIFA, Cook had already been awarded an OBE for her proven record of developing and delivering far-reaching and sustainable diversity and inclusion projects at both national and international levels. On receiving the news, Cook told FIFA.com: “It’s a very proud moment for me, and my family. The World Health Organisation considers more than 20 per cent of the global population to be disabled, yet there are very few disabled people in senior positions at this time, especially in the sports sector. The award recognizes the work I’ve been involved in for a long time. In Europe alone, there are more than 80 million disabled people living in the European Union – equivalent to the populations of Belgium, Czech Republic, Greece, Hungary, and the Netherlands combined. 50 per cent of all disabled people have never participated in leisure or sport activities. Moreover, one third of the disabled population has never travelled abroad or even participated in day excursions because of inaccessible venues and services. Cook was the founder and managing director of the Centre for Access to Football in Europe (CAFE). During the 2014 FIFA World Cup™, she supported FIFA in making the event more accessible to disabled people and was involved in the project that offered audio-descriptive commentary for partially sighted and blind fans. Before joining FIFA in November 2016, Cook was also a board member at FARE, a director at Women in Football, and a board member at the Sports Grounds Safety Authority.